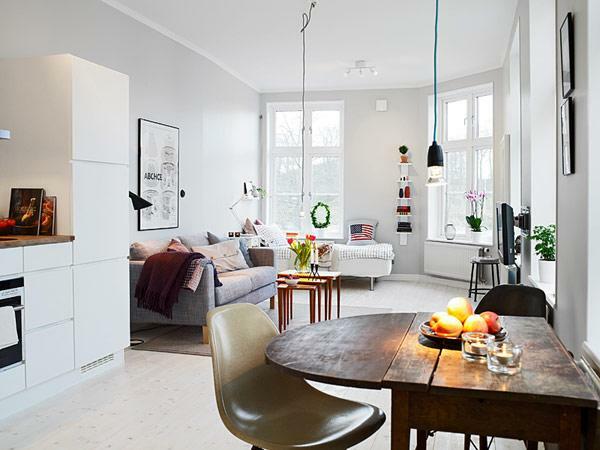 Small Apartment in Gothenburg Showcasing an Ingenious Layout. The small apartment was especially developed for the students in Sweden makes one reconsider the idea of college dorms. With a total living area of 39 square meters, the apartment is situated in a lovely building from the late 1800s and features beautiful woodwork, tall paned windows and black electrical outlets, reminiscent of the area’s historical background.